The private demo of Microsoft's first touchscreen player at the D7 technology show on Thursday was characterized as particularly impressive. Gizmodo's brief stint with the media player showed a refined device with an interface that would be very familiar to owners of the click pad-based Zune but, understandably, optimized for touch. Unlike Windows Mobile phones, which are forced to use slow and imprecise resistive touchscreens, the Zune HD has a capacitive touchscreen like the iPod touch and responds both quickly and accurately to finger input. These and the construction quality were enough to immediately surprise editor Brian Lam. 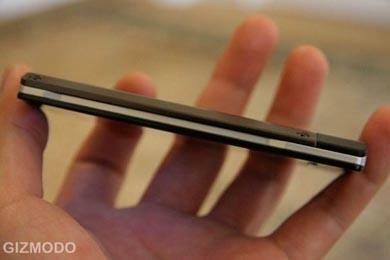 "The device is tighter and more physically beautiful than the iPod touch and it's got a better UI," he said. "The main menu's scrolling [is] so natural through the swipe gestures." He also praised the more discreet yet easier to hit home button as well as its better responses to the accelerometer. Where the iPhone often lags slightly behind the user when rotating photos or the web browser, the Zune HD's response is almost instantaneous. Some of Microsoft's most heavily promoted features haven't been shown, however, including its Internet Explorer web browser and HD Radio tuning. Also, it's deemed unlikely that Microsoft will ever have the app support Apple can claim for its iPod. 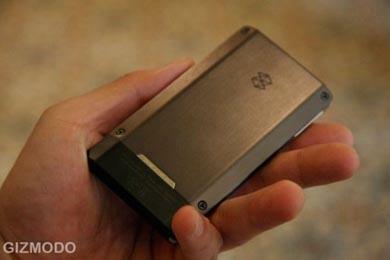 Microsoft has made it clear the Zune won't have a smartphone-grade OS. But while Microsoft has yet to lay all its cards on the table, the early positive reaction is a sharp contrast to the reaction Zunes have had so far in the market compared to the iPod touch. 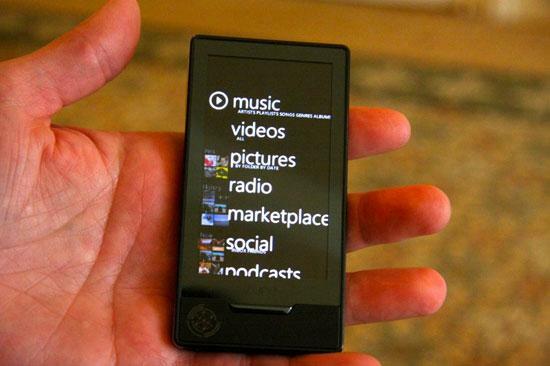 It wasn't until mid-2008 that the Redmond, Washington-based company had sold its 2 millionth Zune, and its revenue from the media players has dropped sharply enough that some have suggested the Zune might only live on through Microsoft's planned "Zune Mobile" software component for Windows Mobile phones. For now, Lam claims that only Microsoft's usual insistence on Windows-only support is likely to keep him from owning one himself. "I would take this in a heartbeat, provided they get around to making a Mac client," he says.